Origin Japan. Simple but pretty bright yellow flowers, April. Toothed light green foliage. 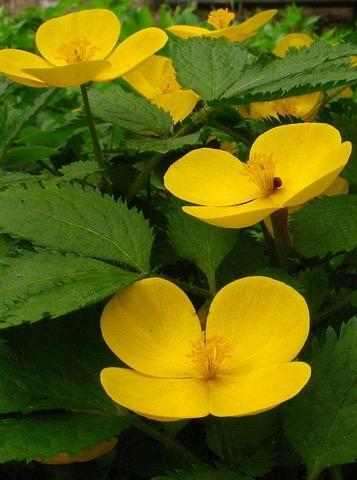 Thrives in woodland setting with light shade and moist but well drained soil. 25cm tall.